In a recent piece called “Las Vegas Is A Great Place To Be A Woman In Tech“, Ariel Schwartz, a Senior Editor at Co.Exist, look at the cities that have the best gender diversity for women in technology. “Using Meetup’s open API, RJMetrics broke down the makeup of the largest tech-related Meetup group in each of the 50 largest cities in the U.S. An obvious caveat: Their study was not at all a comprehensive measurement of gender diversity in the industry, but it can at least provide a general glance at geographic differences,” she continues. RJMetrics estimates the tech community is 29% female. 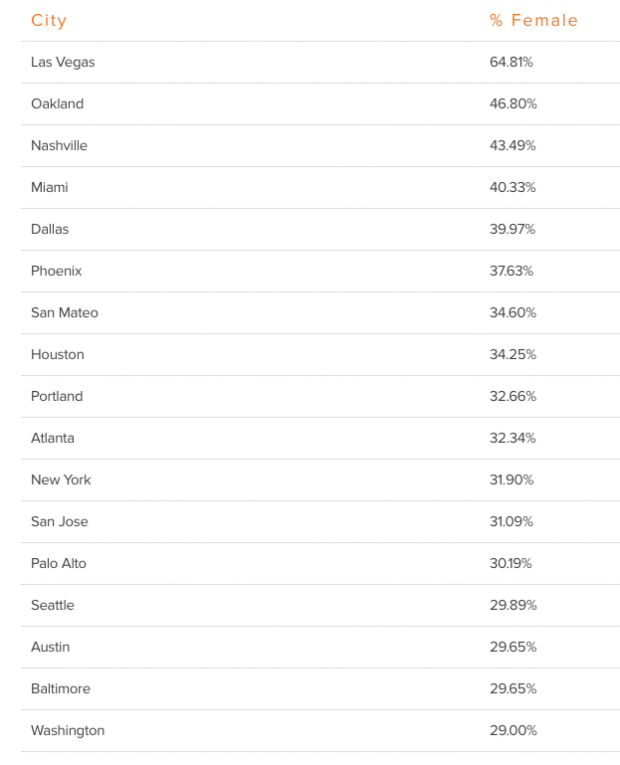 As you can see from the list that beat that average, Las Vegas is the only city where women appear to make up the majority of the tech community. Read the entire piece on FastCoExist.com here.